Whisk eggs in a large bowl. Stir in water, maple syrup, and vanilla. Add flour, cocoa, chocolate chips, baking powder, and salt. Stir until well combined. Brush top and bottom surface of waffle iron with oil, then ladle in enough batter to cover bottom surface of iron. 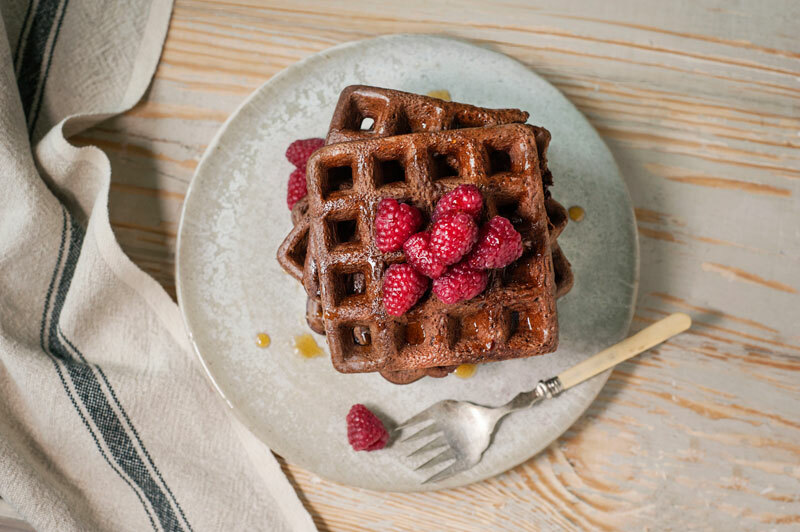 Close waffle iron and cook until steaming stops or the waffle is golden brown. Serve immediately as is, or with your favorite toppings. Notes* If not using the lucama or maca powder, add an additional 2 tablespoons and 2 teaspoons teff flour. 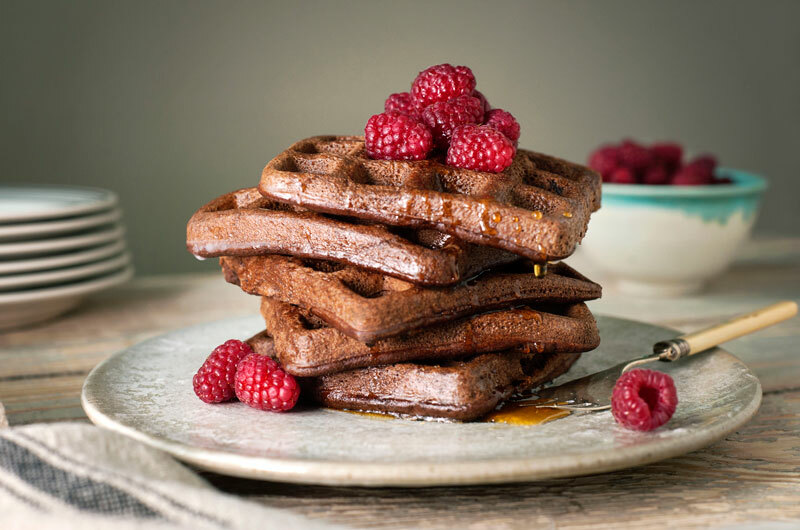 Chocolate Chocolate Chip Waffles’ Recipe Copyright © 2019 Leslie Cerier. All Rights Reserved to Leslie Cerier.